Make a donation to NAFA in honor of someone! 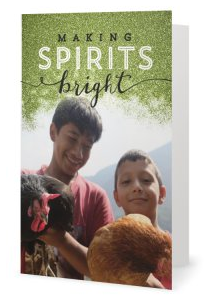 This holiday choose a deeply meaningful gift to give a loved one and help the unparented children of Nepal receive nutrition, parasite treatment and training that helps them become strong and healthy. Honor your loved ones with a beautiful card from NAFA to let them know that your love for them is changing a child’s life.